Oregano might be a humble herb with a glorious name, nonetheless. In Ancient Greek, Ορίγανον: όρος+γάνος = η λάμψη του βουνού is the joy, the brightness of the mountain. Ancient Greeks would crown bridal couples with wreaths of oregano as a blessing of happiness upon their marriage. Oregano is one of the most popular Mediterranean herbs and one of the foundations of Greek cuisine. Greece happens to be where the most praised varieties come from and Mount Taygetus is home to the most favoured of all Greek oreganos. The herb has been used since the antiquity as a food flavouring and medicine mostly for respiratory diseases. Have you ever tried an herb called oregano not smelling or tasting like oregano as the authentic one? That is mostly because oregano is a wider category used to define nearly 50 plants available across the world that respond to a similar flavour profile. For example, you might have heard of Lippia graveolens, “Mexican oregano,” also known as Mexican marjoram or Mexican wild sage (not a true oregano), or Thymus Capitatus, “Spanish oregano” and Origanum majorana, “Sweet marjoram”. The authentic Greek Oregano is Origanum Vulgare ssp. Hirtum that has been scientifically proven to have antiviral, antifungal and antibacterial properties, as well as very potent aroma and intense flavour. In Greek cuisine, the herb is used dried, usually; there’s always a jar full of it in the Greek home. Oregano is used in tomato sauces, with meats, fish, cheese, egg dishes, salads, cheeses, and with vegetables including tomatoes, mushrooms, onions, zucchini, and green beans. Combine it with minced garlic, sea salt, and olive oil and you have a flavourful marinade for pork, beef, or roasted potatoes. The ancient Greeks were also the first to realize the amazing healing properties of oregano. It has powerful antibiotic, antifungal and antioxidant properties. It is used as a painkiller and anti- inflammatory. Oregano tea is considered a treatment to treat pain, colds, asthma, indigestion and fatigue. The leaves and flowering stems are natural antiseptics because of high carvacrol content. Oregano is rich in C, E, K, A vitamins, manganese, magnesium, calcium, niacin, zinc and iron among others. This herb, rich in essential oils, pungent and peppery is quite sensitive when stored. We advise you in store it in glass containers; away from the heat and the sunlight but still, not in the fridge. Make sure you buy your oregano from a trustworthy supplier. 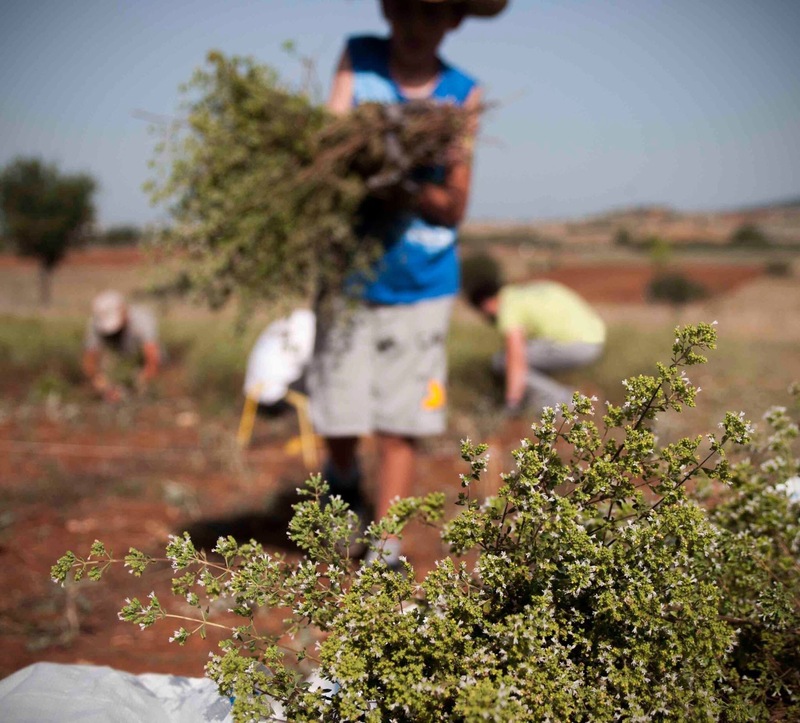 The recent years, a number of illegal harvesters have been stripping Greek mountains of wild herbs and rare plants. We really hope this issue is solved as soon as possible as this looting stops natural regeneration, threatens delicate ecosystems and leaves entire mountainsides denuded. In case you are growing the herb at your home, oregano protects the other plants from diseases and harmful ants. That is especially useful during summer, when mosquitos or other ants are hard to avoid. Talking about the joy of cooking, have you seasoned your meal with oregano, today? Looking for inspiration? Oregano is a match in heaven with tomato, which is a match in heaven with feta which takes us to dakos, without a second thought. Pop by our shop at Borough Market and smell our exceptional Greek oregano! 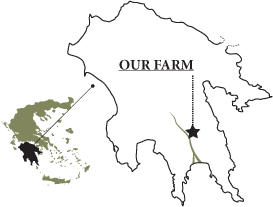 We supply it in bunches or ground, hand harvested from the wild mountains of Epirus. The oregano as well as all of our wild herbs grow within Mrs. Maria’s organically certified land in Epirus. We also supply oregano essential oil, a premium oil organically produced and organically distilled on the farm Aetheleon outside Thessaloniki. This exceptional oil besides its culinary use as a food flavouring, it is widely acknowledged in the international scientific community for its strong antibiotic, antifungal and antioxidant properties. This entry was posted in Greek Products, Herbs and tagged antibacterial, antibiotic, antifungal, antioxidant, antiviral, carvacrol, oregano, oregano oil, organic.